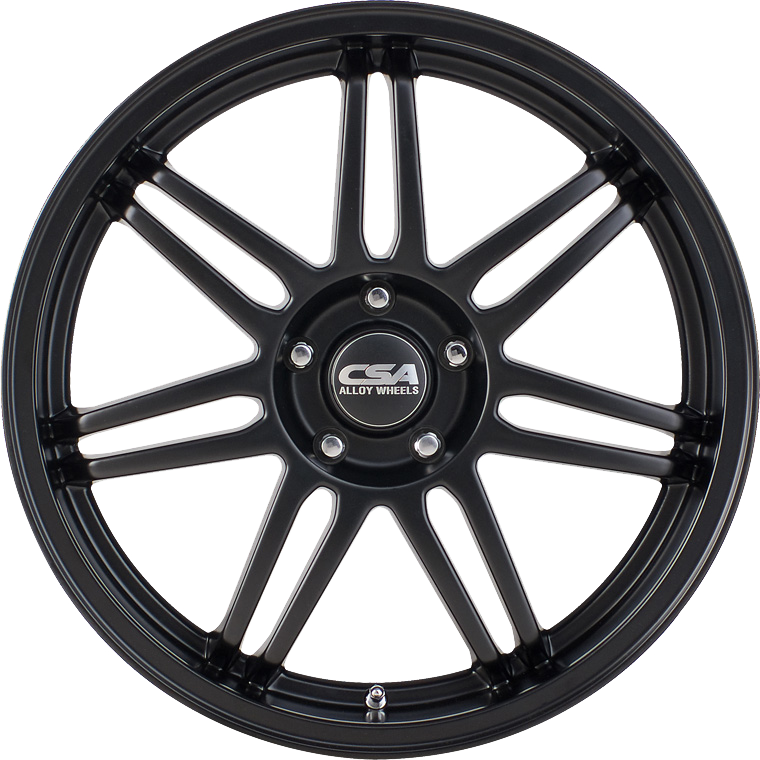 CSA Strada is a Satin Black all over twin-spoke wheel. Strada has seven twin-spokes and the Satin Black all over finish gives it a uniqueness rarely found in the market. CSA Strada is a Satin Black all over twin-spoke wheel. Strada has seven twin-spokes and the Satin Black all over finish gives it a uniqueness rarely found in the market. Strada is available in 17x7” size to suit all popular 4 cylinder vehicles, such as Mazda 3, VW Golf, Ford Fiesta and Mitsubishi Lancer. Strada in 18x7.5” size can be fitted with the correct load rated tyre to suit mid-sized sedans & hatches like Mazda 6, Honda Euro and Hyundai Sonata, Subaru WRX, Audi A5, etc. Load ratings make it suitable for most small to medium car and SUV applications.